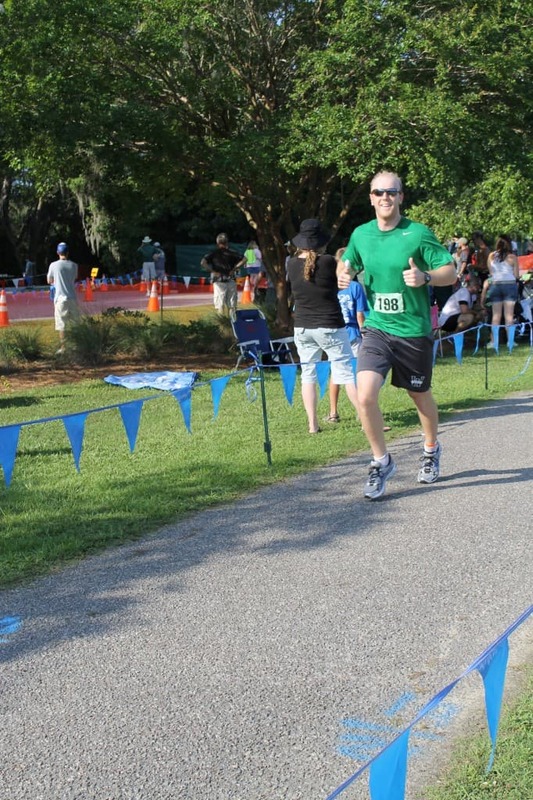 This weekend, I participated in my first ever triathlon in the second event of the 2013 Charleston Sprint Triathlon Series at the James Island County Park. 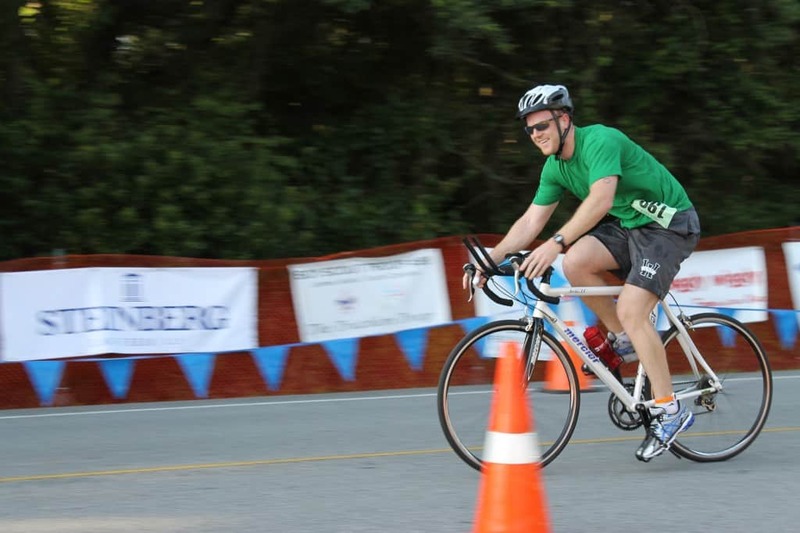 I’d never done a triathlon before, but I pretty good at swimming, biking and running individually and something was motivating me to try a tri… so I did! 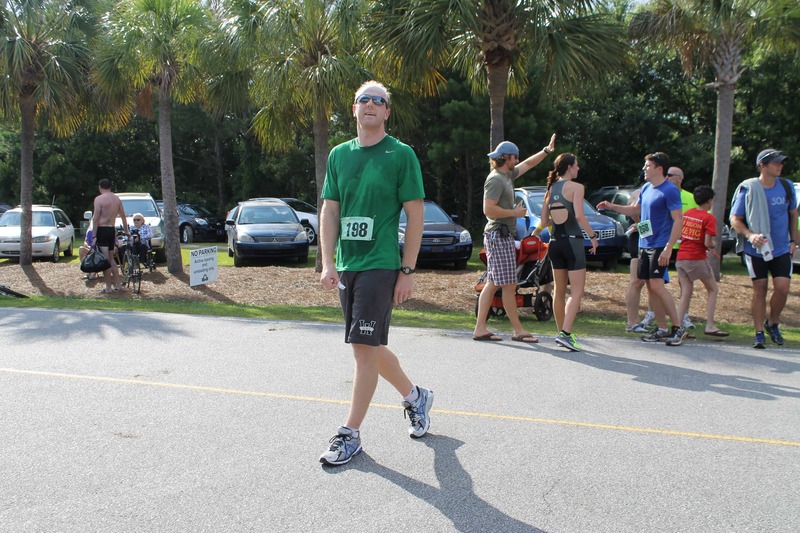 The event started at 7 a.m. but my age group went last, so I didn’t kick off until 7:45. We started out in the water for a 600 meter swim. 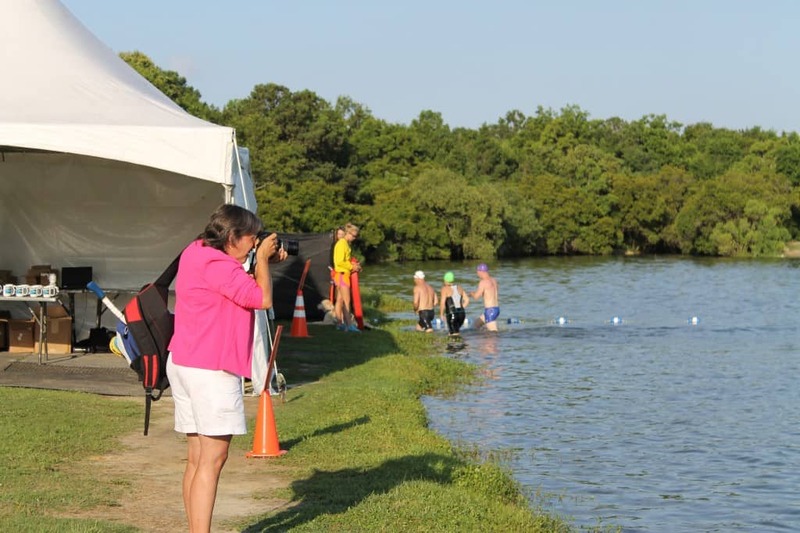 I was a little grossed out because it was in the same lake that the dog park feeds into and I know what goes in there… Nonetheless, I was a competitive swimmer for 13 years, so I tried to power through this part of the race. About 40 meters in, someone kicked me in the face and knocked my goggles off, so I had to tread water while I fixed them. The length wasn’t hard, but I kept veering off to the left and had to keep looking up to make sure I was on track. 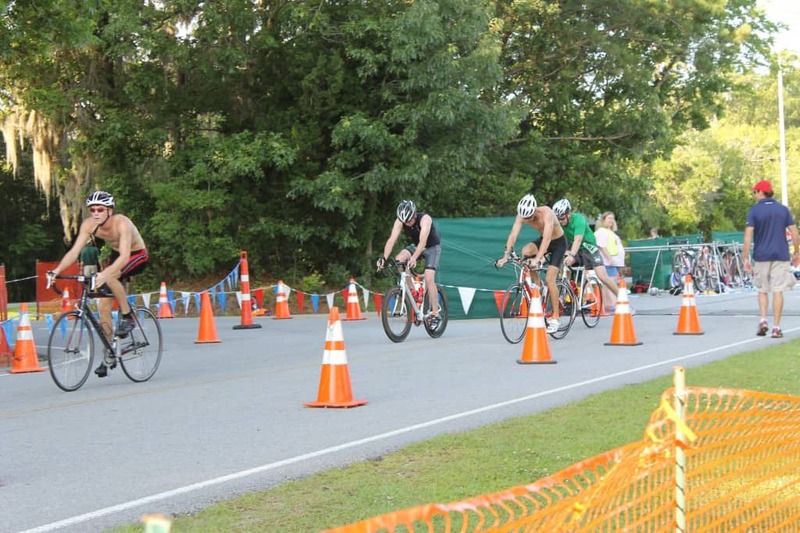 Down the home stretch, I popped out of the water and took off for the transition area. This was my first ever transition. Needless to say, it didn’t go very well. I had the 7th best swim time in my age group, but the 3rd to worst transition time, so I lost a lot of ground that I had initially made. I took too much time trying to dry off my feet and get my socks and shoes on. Plus, I had sliced my finger open with a knife really bad a few days before, so I had that all wrapped up and it was hard to pull up my socks. 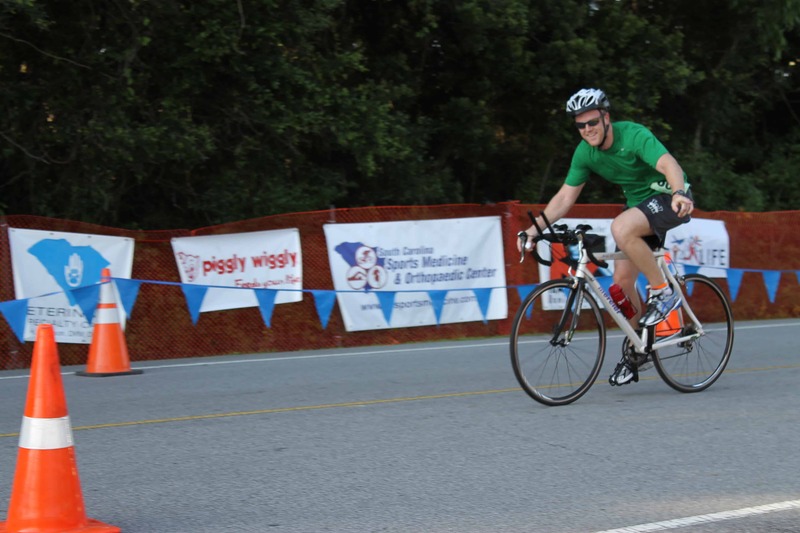 I took off on the bike for the 12 mile bike ride and cruised along. I thought I was going at a decent pace, but I learned after seeing my time that I should have pushed myself a little harder because my time wasn’t great. But it was a nice ride on a route that I’ve actually done before, so I knew what to expect. 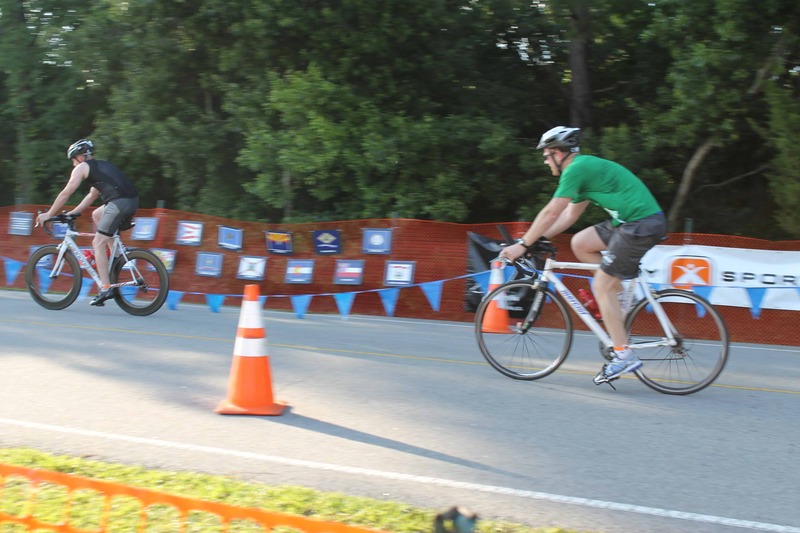 As I came into the next transition, I almost fell trying to get off my bike, but caught myself, much to the amusement of one of the volunteers. I stowed my bike and started the 3.1 mile run. Immediately, my legs felt like lead and were really hard to move. But I just kept telling myself that I needed to not stop and walk. 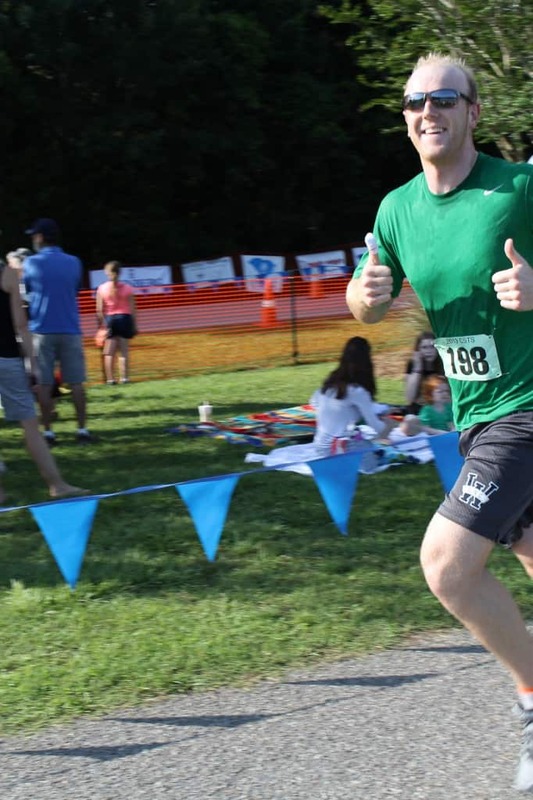 That helped me keep going and I ended up with a good time of 22 minutes, which is decent even if that’s the only exercise you’re doing, not to mention on the third leg of a triathlon. I finished the race in 1 hour, 16 minutes and 10 seconds. My goal for the race was an hour and 15 minutes, so I was pretty close and I’m pleased. And it was so nice to have Morgan there to cheer me on the whole time. 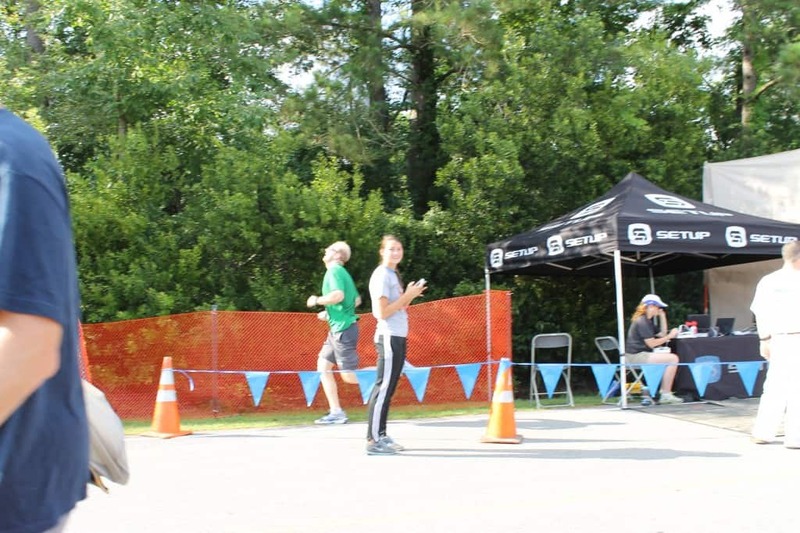 I usually don’t have a fan section at races, so I was happy to have the encouragement. Now I have the itch (no, not a skin disease from the dog lake) and want to do it again. I’ll probably shoot for the fourth race in the series in a month.